The Premier League gets under way in 2018 with five fixtures on New Year's Day. Here, Press Association Sport details what to look out for on a day when Liverpool and Manchester United are in action and more twists and turns are expected at the bottom. It is almost as if the air was sucked out of Manchester United's league campaign by the December derby defeat to City. Three successive draws have dropped them to third place and United were booed off after Saturday's Old Trafford stalemate against Southampton. 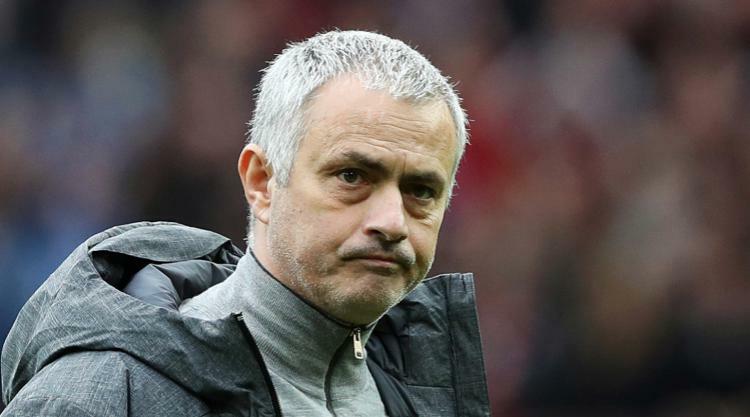 With questions over substance and style, the problems are growing for manager Jose Mourinho and an awkward-looking trip to Everton has been made more difficult by the loss of strike pair Romelu Lukaku and Zlatan Ibrahimovic. The first blip of Sam Allardyce's Everton reign - no wins in three games - has coincided with Wayne Rooney's absence from the starting line-up through a bout of illness. But Rooney came on for the second half at Bournemouth on Saturday and there is every chance that he will start against former club Manchester United at Goodison Park. Few might have imagined that Rooney would have as many Premier League goals as United's top scorer (Lukaku) at the start of 2018, and a Rooney winner at Goodison would heap more misery on his former club. It was not too long ago that Liverpool's credentials to make the top four were being questioned. But the feel-good factor is sweeping around Anfield ahead of their first 2018 fixture at Burnley. Record signing Virgil van Dijk was in the stands to watch their comeback victory over Leicester and the giant Dutchman will be a welcome addition to a suspect defence. And with Mo Salah keeping up his amazing scoring streak, there is every possibility that Liverpool can overtake Chelsea and Manchester United and emerge the best of the rest behind champions-elect Manchester City. Will Hughes gamble pay off? Stoke boss Mark Hughes appears to be walking a very thin tightrope and his team selection at Chelsea on Saturday shone a fierce spotlight on him again. Xherdan Shaqiri, Joe Allen, Eric Maxim Choupo-Moting and Peter Crouch all dropped to the bench as Stoke were battered 5-0 at Stamford Bridge. Hughes admitted a two-day fixture turnaround had forced his hand in selection, and he clearly prioritised the New Year's Day visit of Newcastle. But it was a call that did not sit easily as the Chelsea goals flew in - and now Hughes needs a victory like never before. Bournemouth head into 2018 and along the south coast to Brighton with a spring in their step and the winds of fortune blowing their way. After Callum Wilson's controversial last-gasp equaliser secured a 3-3 draw against fellow strugglers West Ham, Ryan Fraser's late deflected strike gave Bournemouth a first win in nine games against Everton. The victory took Bournemouth out of the relegation zone and the delight on boss Eddie Howe's face was evident as he spoke about the psychological pressure of being in the bottom three.